Registration for the 14th annual Medtec China has just opened. Medtec China is a leading medical technology exposition. Over 400 exhibitors will be present to showcase their latest projects. In addition to the exhibitors, medical suppliers from all over the world will be flying into China to take part of this event. This expo holds the potential to bring new ideas and new products for medical care to the Chinese market and into the Chinese healthcare system as it has done for the last 14 years. Over 10,000 visitors from medical design and manufacturing will be present at the expo with over 80% of visitors searching for suppliers in the medical equipment industry. Present at the expo will be keynote speakers from America and Europe and well as Shanghai Pudong Medical Device Trade Association, and consultant companies. There will be a roll out of regulatory updates for the US, China, and the EU. Most likely regulations will include an increase in quality control for medical equipment in China. Quality control regulations could have far reaching and very important economic impacts to the cost of producing medical equipment for the Chinese market. Reasons to attend Medtech China include access to the latest in medical tech advancements as well as an opportunity to view market trends in the med tech market. Attendees will also have the chance to meet with suppliers and exhibitors in order to learn more about the world of medical equipment design. Exhibitors will feature leaders in med tech manufacturing such as UBM Canon, GE, Johnson and Johnson, and many more. Medtec China will take place on September 26-28 2018 at the Shanghai World EXPO Exhibition&Convention Center. Travel and Visa information can be found on the Medtec China website as well as a list of exhibitors and more information about the expo. Medtec China will be followed with Medtec Europe which will take place in Stuttgart Germany from April 17-19 2018. 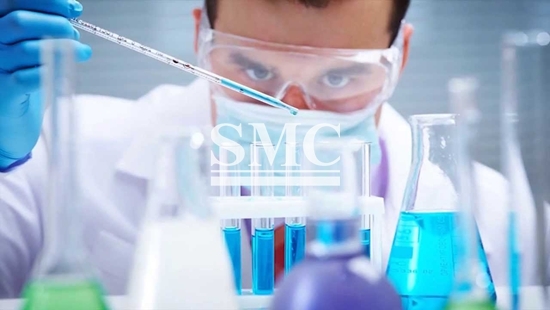 At SMC, we are proud to offer top medical equipment to our many customers. We have years of experience with injection, feeding, and airway products, and tailor our products to your specific needs. For more information including specifications and price, please click here.